The digital series featuring the late legendary comedian's interviews with celebrities – zingers and all – debuts on YouTube. NEW YORK — A digital series starring the late comedy legend Don Rickles debuted online Monday. 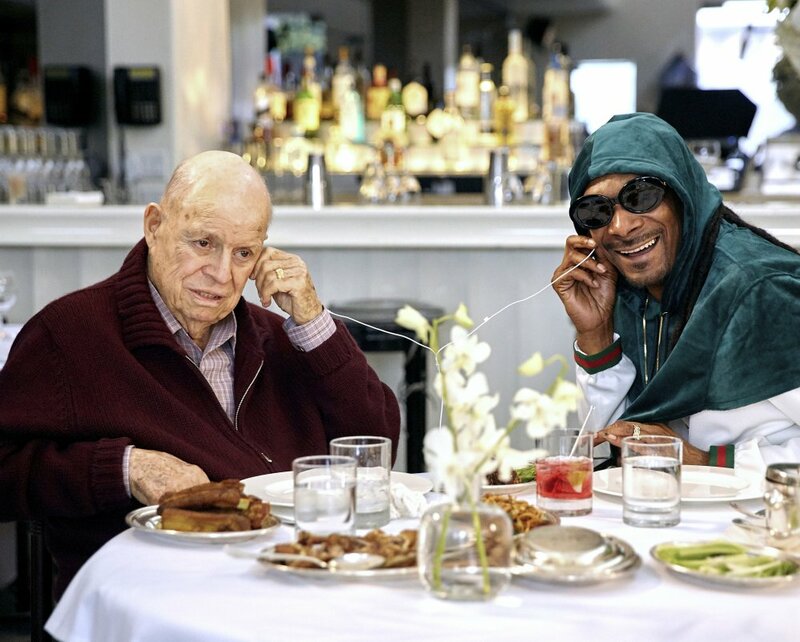 The 13-episode show “Dinner with Don,” produced by AARP Studios, features Rickles interviewing – and zinging – celebrities such as Jimmy Kimmel, Snoop Dogg and Robert De Niro at his favorite restaurants in Hollywood. Rickles, known as the grandmaster of insult comedy, died in April of kidney failure at age 90. AARP said the series was Rickles’ final project. They began shooting in November 2016 and ended in January. “Dinner with Don” also includes interviews with Martin Scorsese, Amy Poehler, Zach Galifianakis, Paul Rudd, Sarah Silverman, Billy Crystal, Rich Eisen, Vince Vaughn, Marisa Tomei, Jonathan Silverman and Judd Apatow. It is available on the AARP’s YouTube channel.